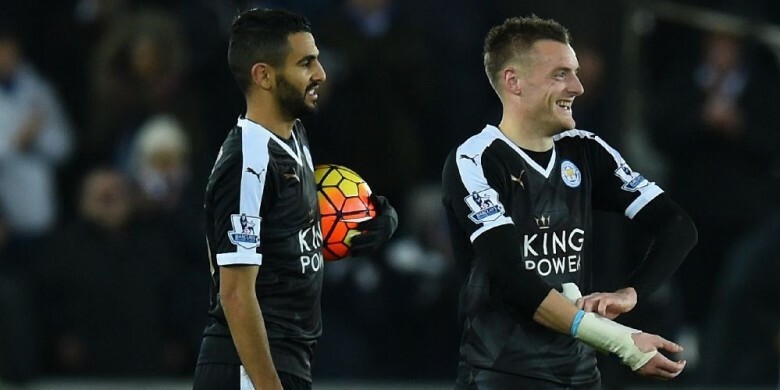 Arsenal are closing in on a deal sign Algerian attacker Riyad Mahrez along with Jamie Vardy in what would be a massive double signing from Leicester City, according to The Sun. The Gunners have met the £20million buy-out clause in Vardy’s deal with the Foxes and the English striker looks set to complete a move to the Emirates Stadium within the next few days. But now Arsenal are also looking to sign Algerian Mahrez, who won the PFA Player of the Season award on the strength of his superb performances for Leicester in 2015/16. The North African’s buy-out clause is reportedly set at £25million, with The Sun reporting that Arsenal “have been shocked that Mahrez's release clause is so low”. Leicester have also been hit by the news that hard-running midfielder N’Golo Kante is set to move to Paris Saint-Germain, though they could replace him with Kenya’s Victory Wanyama. The sale of Leicester’s star players would be a massive blow to the club, but would afford them the funds to buy major transfer targets such as Mahrez’s international teammate Islam Slimani.